More than 160 years after the Gold Rush, this old-fashioned form of treasure hunting continues to delight people of all ages. It was 1851 when prospectors first found gold in Southern Oregon and Gold Rush fever swept through the state. Big, shiny nuggets first turned up in and around Josephine Creek and on the Illinois, Applegate and Rogue rivers, including near the town of Gold Beach on the Coast. Thousands of excited gold miners soon followed seeking gold in them there hills. More than 160 years later, this old-fashioned form of treasure hunting continues to delight people of all ages. How: It’s just like you’ve seen in an old Western: Start by locating an eddy along the river or creek. Fill your pan about two-thirds of the way up with sand or gravel and rotate it carefully under the water. Look for that telltale gleam of gold or other precious metals therein, until Eureka! — your treasure reveals itself. 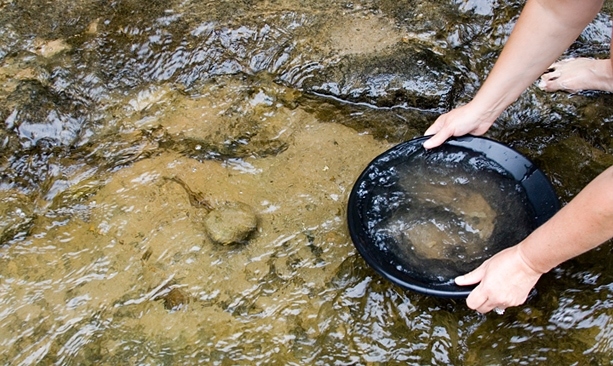 When: In Oregon, you can pan for gold any time of year, except when salmon and steelhead are spawning. Check with the Oregon Department of Fish and Wildlife for information on spawning times. 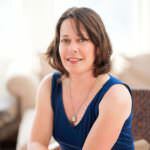 And though it’s a year-round activity, summer temperatures make this season an excellent time for treasure hunting. Where: Hit the mother lode, or just have fun trying. 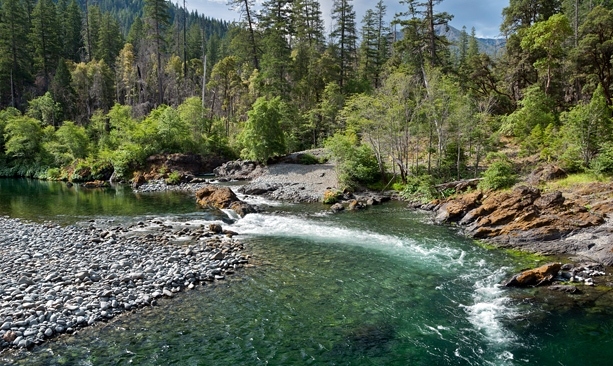 In Southern Oregon: Test the waters at Little Applegate, Tunnel Ridge, Gold Nugget Wayside and the Hellgate Recreation Area of the Rogue River in the Medford BLM district. Also check out Sardine Creek where it empties into the Rogue near Gold Hill. 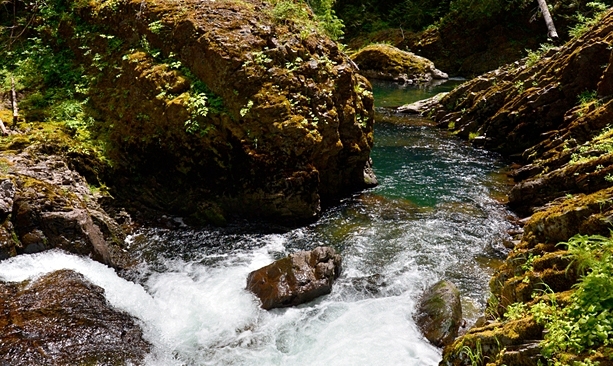 Near Roseburg, try your luck on Cow Creek, Sterling Mine Ditch Trail or on China Ditch. In the Willamette Valley: Check out Sharps Creek near Cottage Grove as well as the Yellowbottom Recreation Area on Quartzville Creek just east of Sweet Home. Also popular are the US Forest Service campgrounds in the Blue River area about an hour east of Eugene. Around the state: Dip your pan on the Sixes River near Coos Bay and in Eastern Oregon in the Alvord Desert on Mann Lake. For other ideas, visit the Oregon BLM page.